Academics are de-emphasized in the early years of schooling. There is no academic content in the Steiner early years (i.e. pre-class 1) experience (although there is a good deal of cultivation of pre-academic skills), and minimal academics in Class 1. The letters are introduced artistically, with the children learning to read from their own writing in Class 2 or 3. 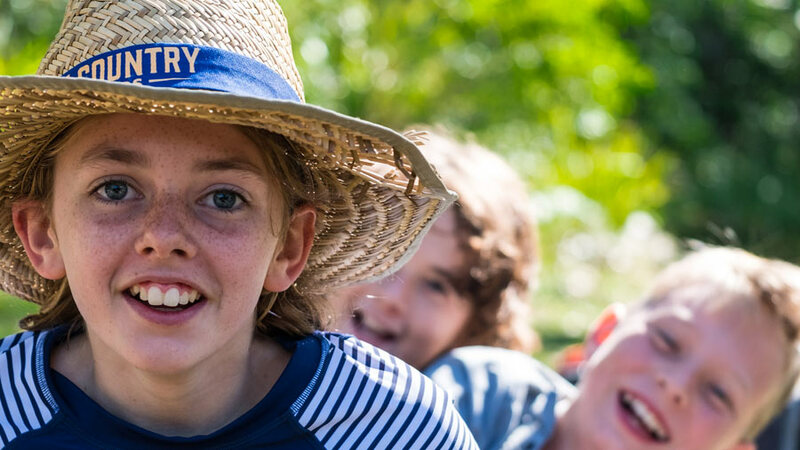 Certain activities which are often considered “frills” at mainstream schools are central at Steiner schools: art, music, gardening, and foreign languages to name a few. In the younger grades, all subjects are introduced through artistic mediums, because the children respond better to this medium than to dry lecturing and rote learning. All children learn to play recorder and to knit. There are no “textbooks” as such in the first through fifth grades. All children have “main lesson books”, which are their own workbooks, which they fill in during the course of the year. They essentially produce their own “textbooks” which record their experiences and what they’ve learned. Upper grades may use texts to supplement their main lesson work. The Steiner curriculum is designed to be responsive to the various phases of a child’s development. The era of human history being studied corresponds in many ways with the stage of development of the child. For example, pre-Class 1 children are presented with fairy stories matching their dreamy state of consciousness, Class 4 study the Vikings and Norse mythology which suit their war-like feelings at this age, Class 5 learn of the Greeks at the time their intellect is awakening and their sense of fair play is becoming obvious, and so on. Reading instruction, as such, is slightly deferred. Instead, writing is taught first. During the first grade the children explore how our alphabet came about, discovering, as the ancients did, how each letter’s form evolved out of a pictograph. Writing thus evolves out of the children’s art, and their ability to read likewise evolves as a natural and, indeed, comparatively effortless stage of their mastery of language. What is the benefit of having the same class teacher throughout primary school? Between the ages of seven and fourteen, children learn best through acceptance and emulation of authority, just as in their earlier years they learned through imitation. In primary school, particularly in the lower grades, the child is just beginning to expand his or her experience beyond home and family. The class becomes a type of “family” as well, with its own authority figure “the teacher” in a role analogous to a parent. This is a very common concern among parents when they first hear about the “Class Teacher” method. However, in practice, the situation seems to arise very rarely, especially so when the teacher has been able to establish a relationship with the class right from the first grade. Understanding the child’s needs and temperament is central to the teacher’s role and training. When problems of incompatability do occur, the teacher and the family, work together with the support of school mentors, to determine and undertake whatever corrective action would be in the best interests of the child and of the class. In the sense of subscribing to the beliefs of a particular religious denomination or sect, Steiner schools are not religious. Steiner schools, however, tend to be spiritually oriented and are based out of a generally Christian perspective. The historic festivals of Christianity, and of other major religions as well, are usually observed in the class rooms and in school festivals. Classes in religious doctrine are not part of the Steiner curriculum, and children of all religious backgrounds attend Steiner schools. Spiritual guidance is aimed at awakening the child’s natural reverence for the wonder and beauty of life. The term “Anthroposophy’ comes from the Greek “anthropos-sophia” or “human wisdom”. Steiner expanded an exacting scientific method by which one could do research for her/himself into the spiritual worlds. The investigation, known also as Spiritual Science is an obvious complement to the Natural Sciences we have come to accept. Through study and practiced observation, one awakens to his/her own inner nature and the spiritual realities of outer nature and the cosmos. The awareness of those relationships brings a greater reverence for all of life. Steiner schools hesitate to categorise children, particularly in terms such as “slow” or “gifted”. A given child’s weakness in one area, whether cognitive, emotional or physical, will usually be balanced by strengths in another area. It is the teacher’s job to try to bring the child’s whole being into balance.